Grotesque, gruesome and all together gruelling, that’s The Binding of Isaac: Rebirth in a nutshell. We’re going to take a look through all of the excrement and disgusting bugs to get through to see if this is a well polished game, or just a well polished turd. We’re going to look through all of the dirt and the grit, all of the blood and the representations of good and evil and we’re about to be reborn. I’ve been playing this game a while, but held off as there have been some fantastic reviews and articles on the game, such as this one from AddAltMode. Go check them out and give them your support, as they’re a great bunch. Isaac lives with his mother, who is a devout believer of a faith (Presumably Christianity, due to the symbolism of crosses and the representation of biblical characters, such as Eve and Samson). They live a happy live together, when one day his mother starts hearing the voice of her lord speak to her. The voice tells her that Isaac is sinful and that he must be stripped of all of the evils in the world. Being devout, the mother obliges to the holy voice she’s hearing and proceeds to remove all of Isaac’s belongings, from his toys all the way down to his clothes! The voice is pleased, but more needs to be done. He speaks to Isaac’s mother once more and tells her that he must be punished for the evils and must repent. To punish Isaac, she locks him in his empty room… But then once more, the voice speaks to the mother and tells her for one last task. The god needs to be appeased, so he demands of her a sacrifice of her only born son. The devout lady she is, corrupted by this voice she was hearing, tells the voice she will do as he asked of her. She takes to Isaac’s bedroom with a kitchen knife, but before she can do anything, Isaac finds a hatch to the basement in his floorboards. He jumps down and so we begin Isaac’s journey to find himself. If the story didn’t set the mood for you, this is not a happy game. This is an incredibly dark game with a lot of themes that some players may find offensive in general. From the random poop monsters, who seem to have the voices of babies, to actual dead babies, this game has a lot of really disturbing content and it is probably one of the most shocking Indie games I’ve played. This is coming from the same man who made Super Meat Boy, however, so how does the game actually play? First of all, this is quite a unique mechanic in this game. You fight with your tears, to combat foes of varying degrees of disgustingness. To use your tears, you fire off in one of four directions. If you play using a controller like I did, then you can use either the buttons to determine which direction you attack, or you can use the second analogue stick. Your tears go a certain distance, which you can upgrade throughout the game. Upgrades are handled via items in the game, which are the core mechanic. 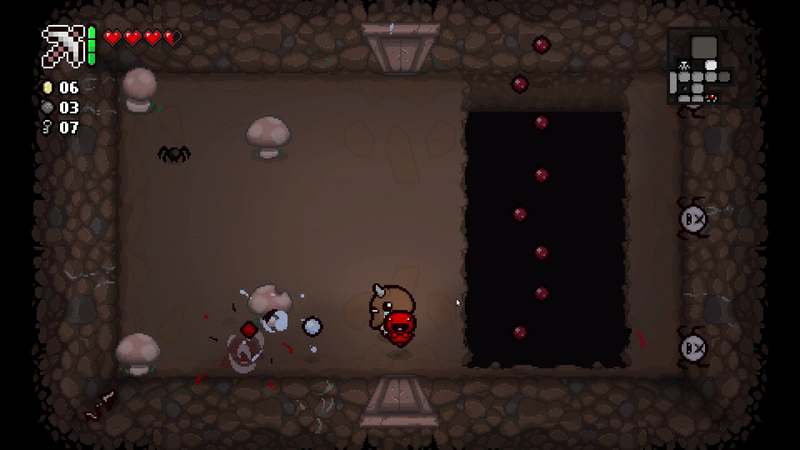 Each item you pick up affects how you play the game, from The Halo which increases all of your stats, to Dark Bum who is a companion that collects red hearts (health) for itself in return for a chance to drop an item. Your play style changes dramatically when you swap from tears to another kind of attack, such as a laser or a charged attack. You play through levels, of which get progressively harder. Each level is procedurally generated, which makes this game highly replayable. Also, each run takes between 20-50 minutes each time, so long as you survive for a good amount of it. This means that you generally end up doing several runs in one playthrough. With multiple endings and many different characters to play as, you will end up coming back time and time again. 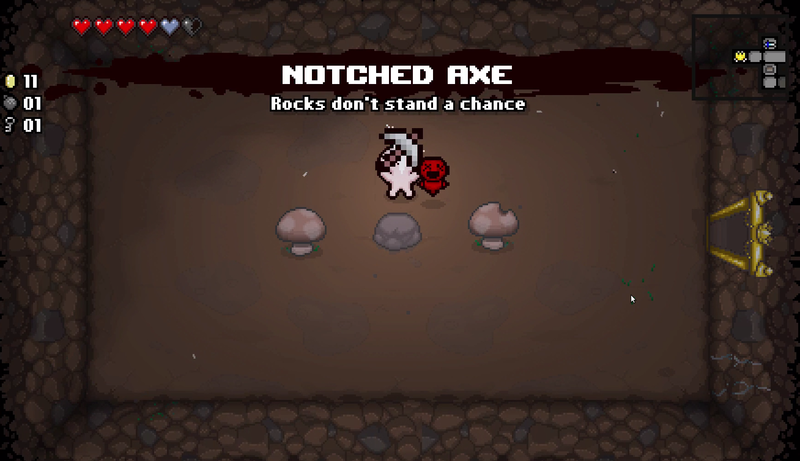 One small issue I had is with the addition of Azazel. I love the character and usually play as him, because he makes playing the game so much easier… And that’s a bit of a problem. Still, it’s tricky enough with him, but when you’re doing the boss rushes in a matter of minutes… You know something is a bit overpowered. Or perhaps I’m just that good? Graphically, this game knows how to deliver on the grossness of the world you’re in. This isn’t a 3D world, where you have to take in the mud and the disappointing weather about you. Instead, the atmosphere delivered in this game is entirely in the dark, dank, dingy caverns and catacombs that you’ll be crawling your way through. With the blood splatters around the place, the actual sentient excrement and the foetuses all around the place… yeah, you’re immediately absorbed by the plethora of dark and hideous coming at you. Spitting blood at your face whilst you cry your painful tears at your enemies. I’m not going to lie: This isn’t the most beautiful game out there. It looks good and is a very clean style, which is seriously improved from The Binding of Isaac, the original Flash game. As well as this, the music in the game is really good but I do question why the Cellar levels have such an unfittingly “epic” feel to its music. Regardless, the music in Binding of Isaac is really high quality audio that would be great on an MP3 list, let alone in the game itself. 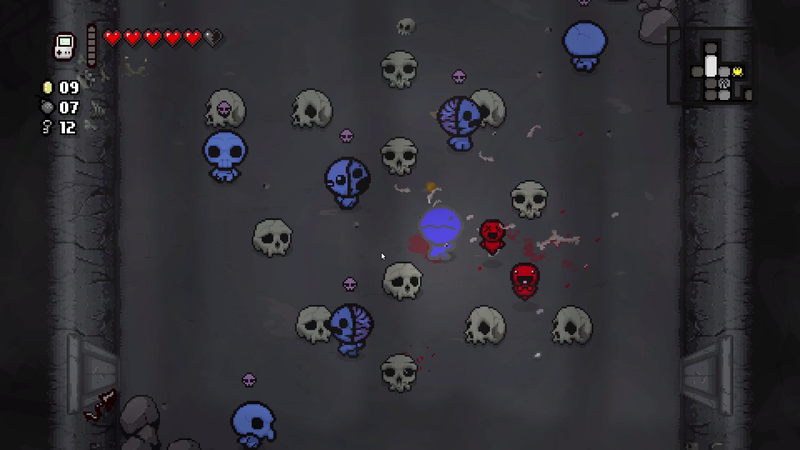 I love Binding of Isaac Rebirth – and I’m going to keep playing it for a long time ahead of me. Unfortunately, the addition of that one specific character is a bit of a let down in terms of the difficulty of the game – But it’s okay. It’s not like you have to play as him, unless you’re going to try for all of the achievements in the game. Like I probably will do, as I would love to get the Platinum God status in that game. It’s great fun, it’s an addictive game and ultimately, who doesn’t want to play a game as a crying child… Oh, now that I’ve said that, it’s not so appealing. 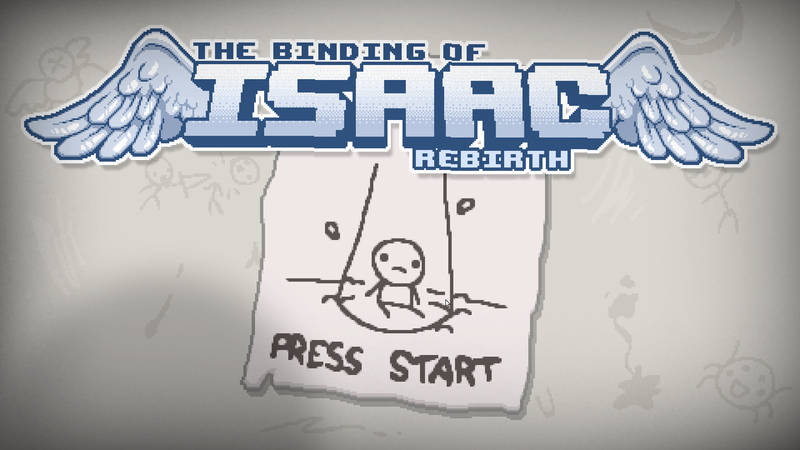 I’d recommend you do pick it up and give it a go though, so let me know in the comments: Did you enjoy The Binding of Isaac: Rebirth? Would you replay it at any point, or play it thanks to reading this article? As always, please let us know what you thought and we’ll see you around next time!